Everyone needs a break from the school routine but how do you gracefully get back in the swing of things after a holiday or summer break? That is the focus of today’s podcast. 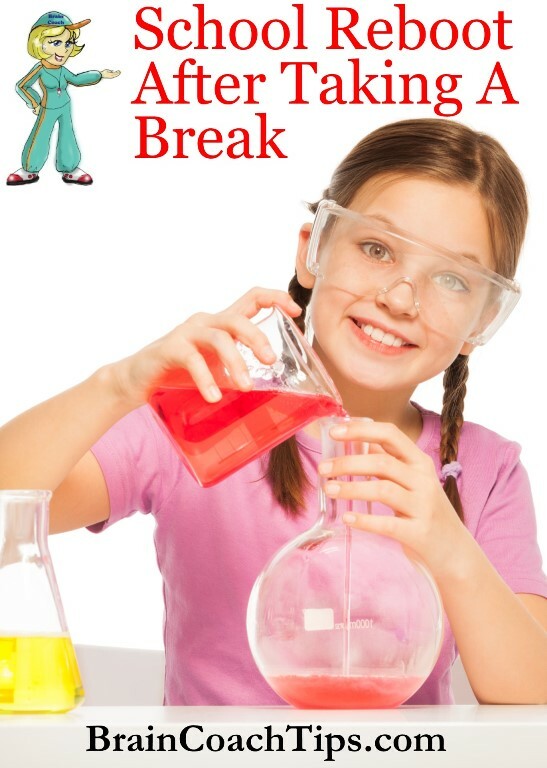 Breaks from school typically come with other challenges that make it fun, stressful, wonderful and exhausting. Now it is time to get back in the groove for a successful new semester. This can come with its own challenges but is often intensified when a child has learning struggles or label. First, don’t try to start up full force expecting everything to fall into place as it was before the break. Another encouragement to you is to take a hard look at what learning takes place naturally during the course of the day and give yourself credit for that. What vocabulary is being expanded as you talk to your children or interject as they play? Look at how they are developing manners as they move through their day and you encourage them to be polite, ask a question a different way, respond to a situation differently. Those skill will serve them all their lives even more that a lot of history lessons will do. Even the little ones are gaining skills like number sense when counting match box cars they got for Christmas or interacting with gravity as the cars careen from the table to the floor. There is so much more to life than learning from textbooks or curriculum. Getting back into math for many children and especially for those with dyscalculia or math dread can be challenging to put it mildly. Jan Bedell, the Brain Coach will give you tips on how to make that transition much easier. The recall of previously learned math concepts can be an easy one with the right technique. Start with only one or two subjects the first few days and add a little at a time. Spend time reading to the children for extended amount of time to get them back in the habit of sustained focus.